Every stone is unique. That's why it's so important that you know how to care for yours. We'll help you determine the best way to care for your material — whether it's simply using a soap and water mixture, or using a special polish. With proper care, the natural stone you selected will remain stunningly beautiful and functional for years to come. The Solazzo family offers these tips for general care, but please call us if you have specific questions about stains. 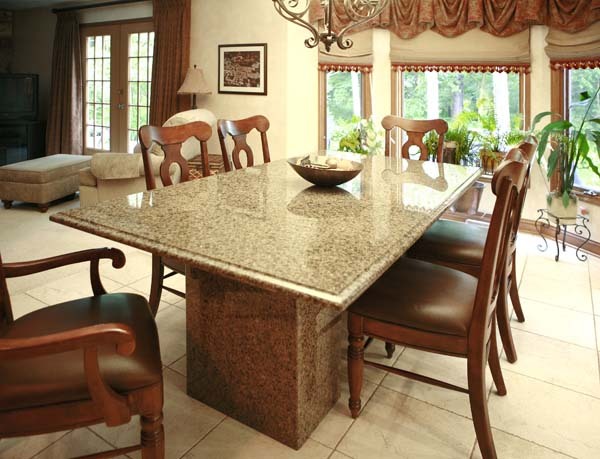 Over time, your granite sealer will need to be refreshed. Commercial sealers developed specifically for granite are available at most home improvement centers for those comfortable with doing it themselves. Be sure to choose a nontoxic sealer safe for food preparations areas. Otherwise, contact Solazzo for a recommendation. Use warm water and a small amount of mild detergent, such as Dove, to clean your granite countertop. Rinse with clear, warm water and dry thoroughly with a clean, soft cloth. Sealers may need to be refreshed. Sealers, such as marble wax or a non-yellowing automobile paste, can prevent water spotting. Marble and granite floors can be damaged by grit, sand and dirt, so dust floor surfaces frequently using a clean, dry dust mop that is untreated with any product. Sealing is done only upon request for an additional charge.